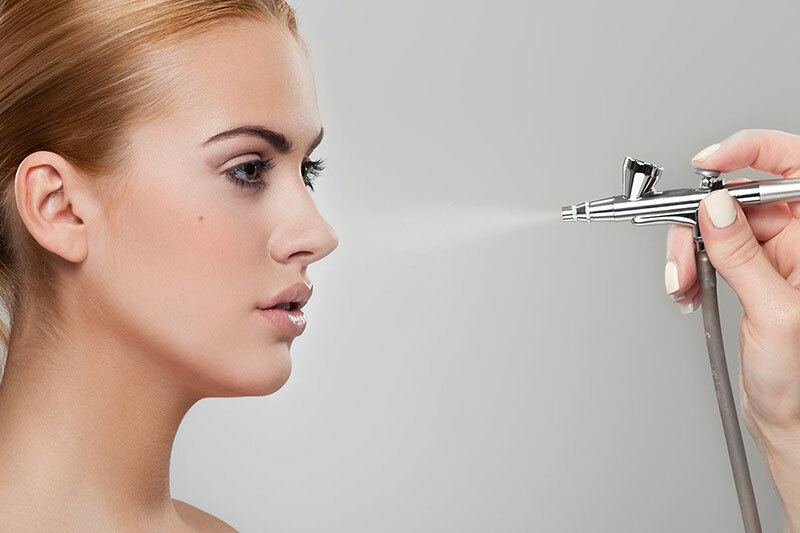 Airbrush makeup utilizes a small makeup air compressor, an airbrush gun, and special airbrush foundation. This foundation – which is either water based or silicone based – is thinner than regular liquid foundation as it needs to pass through the airbrush gun. The airbrushing sprays a very fine mist on the skin pushed through with gentle air pressure from the compressor. This allows the make-up to be sprayed on properly, giving you an even and consistent application of foundation that will last 12 hours or more. We specialize in wedding, proms, graduations, events or even just a night out on the town.